Brookline Commercial painting contractors guarantee fast, efficient work that will always be of the highest quality. Whether you would like to create a stunning exterior for your business or need some guidance as to the best way to maximize the interior space of your premises, staff of the commercial painting service should always be happy to assist. Whether you own an expensive office premise or a small local store, a good commercial company is one which will treat your business with the same amount of care and dedication and awards all its clients. A good Brookline Commercial Painting Contractor should work with you at every stage of the process and offer guidance to ensure your business is transformed into a professional and attractive environment. It should be able to create an atmosphere to ensure your premises are portrayed in the best possible way. The importance of aesthetics when it comes to a Brookline business is something every client can understand. None of us would eat in a restaurant that had yellow stained walls and peeling paintwork. A fresh, clean interior is as important as an attractive exterior to bring in new customers and ensure the continued loyalty of your existing clients. Closing your Brookline business for refurbishment can be disruptive and it is essential that the work is carried out in the shortest time possible. Employees of a good Brookline painting service company are used to working within time constraints and are prepared to work late nights to ensure the work is completed on time. They also protect your furniture and flooring before starting work and provide a full clean up and waste disposal service so you can get back to trading as soon as possible. Brookline commercial painting contractors have helped to revive hundreds of businesses. They offer free estimates and top notch service at affordable prices. Also, they use materials of only the highest quality and their staff is always friendly and happy to offer their years of knowledge to help you in your decisions. By entrusting your business to a Brookline Commercial Painting Contractor, you can be sure of an exceptional quality of work at a reasonable price. The staff is fully trained and reputation speaks for itself through many satisfied customers. 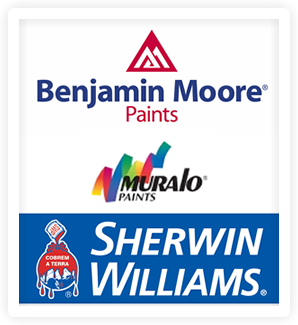 If you are looking for a Boston Painter or decorative finishing then please call (617) 947-0524 or (617) 548-3649 or complete our online request form.